Are you an artist at heart? Or maybe you just love taking in a destination’s local art scene while visiting? How about adding a little culture to your next beach vacation? 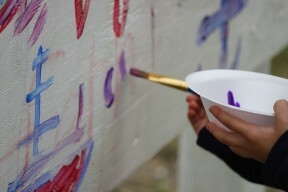 In Gulf Shores and Orange Beach, we’ve got plenty of intrigues to inspire the artist in you. Gulf Shores and Orange Beach have dozens of local artists creating their work in local studios. Many display their art in galleries and shops here and some share their craft through demonstrations and classes. All set amid the beautiful coastal Alabama landscape, you’re sure to be inspired! The Coastal Arts Center of Orange Beach sits on the banks of Wolf Bay and offers a wealth of options for those who love the arts. This beautiful 10,000-square-foot art center displays the works from dozens of local artists. 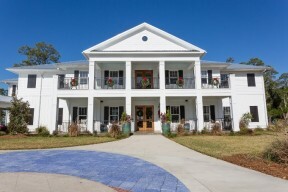 The Coastal Arts Center also hosts special events, to promote visual and performing arts throughout the year. 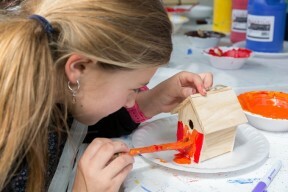 Gallery entry is free and open to the public while custom-crafted art is available in the gift shop. 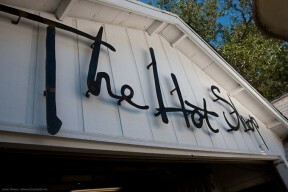 On the center's campus, you’ll also find the Hot Shop and Clay Studio. 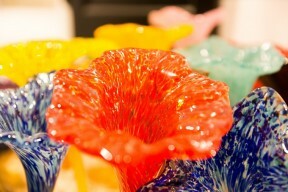 Artisans create glass work and pottery, offering demonstrations to visitors along with a schedule of hands-on tutorials. 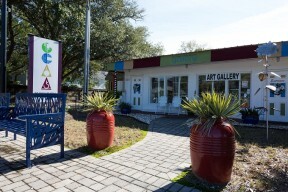 In Gulf Shores, you’ll also find the Gulf Coast Arts Alliance art gallery and gift shop in Waterway Village. The gallery features the paintings, pottery, and other works from approximately 50 local and regional artists. The alliance also hosts weekend art markets during the year where artists show and sell their original work. Fine art lovers will also love a visit to the Susan N. McCollough Fine Art Gallery and Tino’s Fine Art & Frames (where original Rick Tino artwork can all be found along with limited edition prints, pottery, and stained glass). 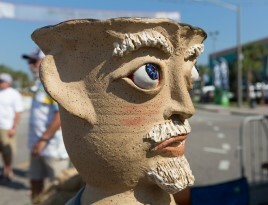 There are also local potters displaying their work at Pottery Central and Sea Oat Studio in Gulf Shores. The Coastal Textile Center at Clara's Loom offers classes in various weaving techniques. 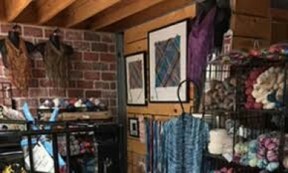 Visitors can shop the eclectic array of yarns, fibers, looms and more in addition to the beautiful handwoven shawls and scarves for sale in the retail shop. At Blue Girl Beading, classes and birthday parties are fantastic occasions to create festive and fun customized jewelry. During events and classes, participants are taught basic stringing, wire, metalwork and intricate stitching. If you'd rather just appreciate the results, there are unique designs available for sale. Local shops and boutiques throughout the gulf area offer local art and jewelry. 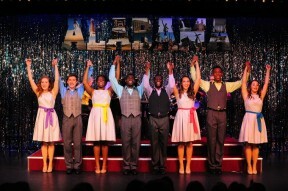 Performing arts come alive as members of the South Baldwin Community Theatre bring their talents to the stage during a wide range of both adult and children’s performances throughout the year. For a unique coastal twist on the arts, Sand Castle University offers an in-depth peek into the intricacies of building fabulous sand castles to all ages and skill levels. You may want to schedule your trip to coincide with one of our exciting events during the year. From the Gulf Coast Arts Alliance’s annual Ballyhoo Festival to the Orange Beach Festival of Art each spring, there are dozens of events to punctuate an art-filled visit to Gulf Shores and Orange Beach any time of year. “Save The Gulf” Pendant & Other Holiday Gift Ideas At The Blue Girl Beading Company.